Apotex Alysena 21 Birth Control Pills, sold with a drug identification number (“DIN”) of 02387875. All current batch/lot designations are subject to this recall notification. Apotex Alysena 28 Birth Control Pills, sold with a drug identification number (“DIN”) of 02387883. All current batch/lot designations are subject to this recall notification. Please consult the photograph above for details of the product’s packaging, design and retail presentation. One (1) additional image of the recalled Birth Control Pills can be found on the Web site above. 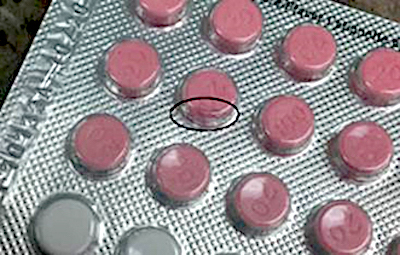 According to Health Canada, Apotex has recalled all current batch/lots of Alysena 21 and Alysena 28 Birth Control Pills, after complaints about chipped pink (Active) pills in sealed blister packages were received. Both Alysena 21 and Alysena 28 are prescription Oral Contraception drugs used to prevent Pregnancy. Alysena 21 packages contain 21 “Active” pink pills while packages of Alysena 28 contain 21 “Active” pink pills and 7 “Inactive” white pills. In these recalled batch/lots, the Active pills that are chipped may contain less of the active drug ingredients. This may reduce Alysena’s effectiveness in preventing Pregnancy. Check your pills before and after taking them out of the blister package. Do not consume a pill if it looks unusual (for example, it is chipped, has jagged edges or is broken). Examine both sides of each pill thoroughly before taking it. It may not be immediately obvious from looking at the blister package that there is a problem with the pills since the underside of the pill cannot be seen while locked in the blister pack. If you have a package with an unusual-looking pill, return it to your pharmacy for a replacement package. Do not stop taking your birth control pills as this may result in pregnancy. Talk to a health care professional if you have questions or concerns about your birth control product, including about missed doses and alternatives. Report adverse events to health products to Health Canada by calling toll-free at 1-866-234-2345 or by reporting online, by mail or by fax. Check each blister pack of Alysena 21 and Alysena 28 pills before dispensing them to make sure the Contraceptives look as they should. Report any unusual pills to Apotex Inc. and to Health Canada. If you believe you have purchased or have in your possession any of the recalled Contraceptive Pills, please do not use them. Instead, kindly return the product to the pharmacy where you purchased it for a replacement package. ==> Never depend on your senses of sight, smell, taste or touch to confirm drug adulteration. If in doubt about the safety of any drug, return it to your pharmacist or healthcare provider for refund or replacement. ==> To see other recalls and notifications caused by suspected faulty and/or dangerous Contraceptive Pills or Birth Control Pills, please search for “contraceptive” or more generically, “birth control” using the Search Box at the top of this page. ==> To see other recalls and notifications for products manufactured, marketed and/or sold by Apotex Inc., please search for “Apotex” using the Search Box at the top of this page.